A UK-based Zimbabwean mental health student reportedly committed suicide on Tuesday leaving behind two children. Nelson Ndlovu, 44, was discovered by his youngest son "hanging in the toilet," according to a GoFundMe campaign created by the deceased's friend. Another mental health student who studied with Ndlovu described him as part of their university family adding "For every step of the way you have supported us, telling us we will be brilliant nurses, to keep going and that we were all going to make it"
Nelson Ndlovu committed suicide on the 15/5/18 and left two kids. The youngest son discovered him hanging in the toilet. I have known Nelson for 23yrs and he just turned 44yrs on the 13/5/18. Few hours before his death I spoke to him on his mobile, and he was looking forward to complete his dissertation and graduate from York university. He never indicated or shown any sign of distress. He left no note or clue to why he decided to take his own life. My guess it is difficult to discuss what it is to be a men on this day and age. 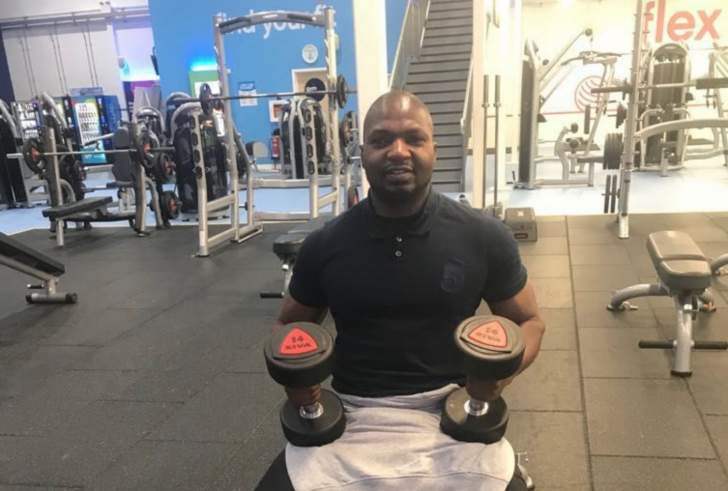 A mental health student on his last journey to contribute to society, a healthy man who loved to keep fit at the gym, a father who supported Asernal with his all heart, a family man who adored his own kids to come to such a decision is hard to comprehend. We desperately seeking your help to bury nelson in his country of birth Zimbabwe. Your donation will mean a lot to this family.